Each year, your generous contributions to TBE’s High Holiday Food Drive make a difference in the lives of our less fortunate neighbors. Volunteers are needed (rain or shine) on Sunday, September 23, from 1:30 p.m. to 3 p.m. to sort bags and stock shelves at the food pantry at Person-to-Person, located at 1864 Post Road in Darien. This is a fun opportunity for individuals and families to perform the mitzvah of tzedakah. To sign up to volunteer or for more information, contact Ken Temple by e-mail or call (203) 962-1491. Let’s break our past record and fill the shelves. 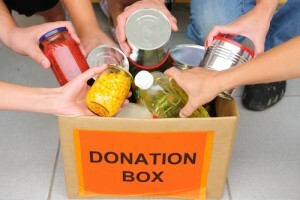 Person-to-Person informs us that our High Holiday Food Drive has provided groceries for over 100,000 meals sine 1991!